KIEV, Ukraine -- Ukrainian prosecutors are seeking to extradite a leading opposition politician detained in Italy and wanted at home on abuse-of-power charges, the prosecutor general’s office said on Tuesday. The request follows a string of cases in Ukraine in which members of the previous government were charged with and sentenced for corruption, prompting concerns from within the European Union about political freedoms in the former Soviet bloc state. 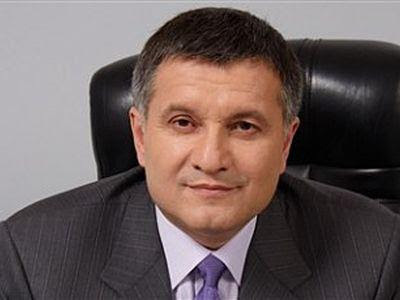 Arsen Avakov, the governor of the eastern Kharkiv region in 2005-2010 and an ally of former prime minister Yulia Tymoshenko – herself jailed last year on similar charges – was detained in the Italian town of Frosinone on Monday, state prosecutors said. “In response to a request from the Italian side the prosecutor general’s office is preparing a package of documents (required) to extradite… Avakov to Ukraine,” the office said in a statement. The EU has condemned the sentencing of Tymoshenko, the fiercest opponent of Ukrainian President Viktor Yanukovich, and Yuri Lutsenko, a former interior minister, as politically motivated. Batkivshchyna, Ukraine’s leading opposition party to which both Tymoshenko and Avakov belong, urged Rome on Tuesday not to extradite Avakov saying he too was a victim of political repressions. Tymoshenko, 51, a charismatic politician and a fiery speaker, helped lead the 2004 Orange Revolution street protests that doomed Yanukovich’s first bid for the presidency. She went on to serve two terms as prime minister. But after Yanukovich made a comeback and beat her in the February 2010 presidential election, criminal proceedings were brought against her and other members of the opposition. Tymoshenko was found guilty of illegally forcing through a 2009 gas deal with Russia which Yanukovich’s government said had saddled Ukraine with an exorbitant price for vital fuel supplies. Tymoshenko’s husband, Olexander, and another ally, former Economy Minister Bohdan Danylyshin, have both fled to the Czech Republic where they have been granted asylum.